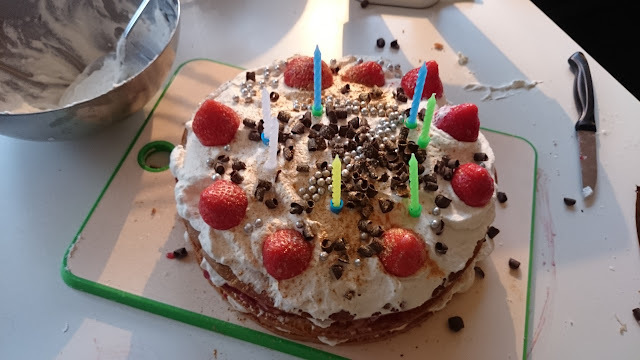 Linus made the cake and was so incredibly proud. The party was a week after big ones birthday. On his birthday we were in Lalandia, which is exactly as noisy and fun for kids as we anticipated.